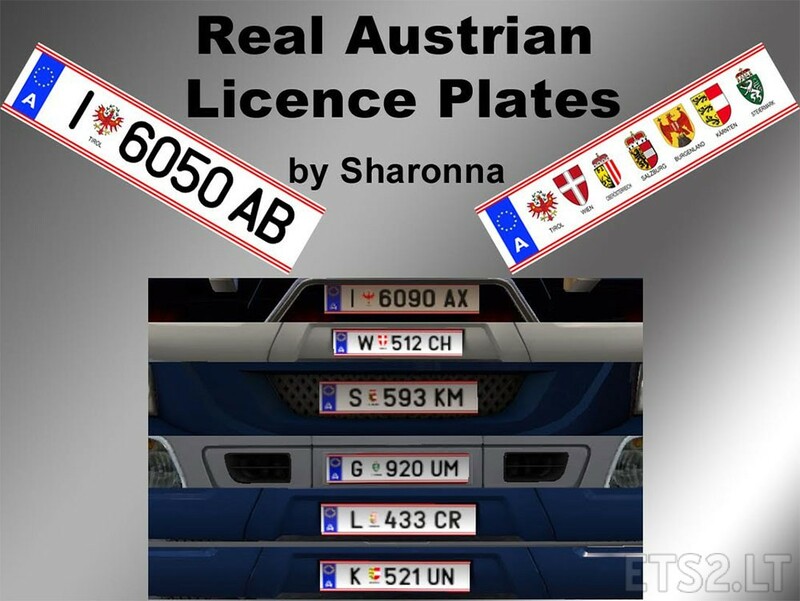 Modifies the Austrian Licence Plates to be more realistic. Changes crest to Tyrol eagle. Changes number and letter combinations to 4 numbers followed by either one or two letters. Changes crest to right ones. This mod is tested in version 1.22. DO NOT REUPLOAD TO OTHER FILE SHARING SITES! geht es auch für 1.23? I like your mod. But it don´t work in 1.31. Dop you have a fix or a update for this Version?